There was a change in ownership and a new approach to business underway. The current brand, Life’s a Picnic, was dated in design and lacking in authority. It was difficult to get local businesses and consumers to take the business seriously when competing against much more polished and established catering services in the local area. The ownership of Georgie’s Custom Catering wanted the new brand name to reflect her desire to bring high quality menu options to local businesses and private consumers at reasonable prices. She wanted her new brand and business approach to reflect her level of service, dedication, and custom menu solutions while providing that home-spun flavor and approachable personality. We started with an updated logo design and mission statement. 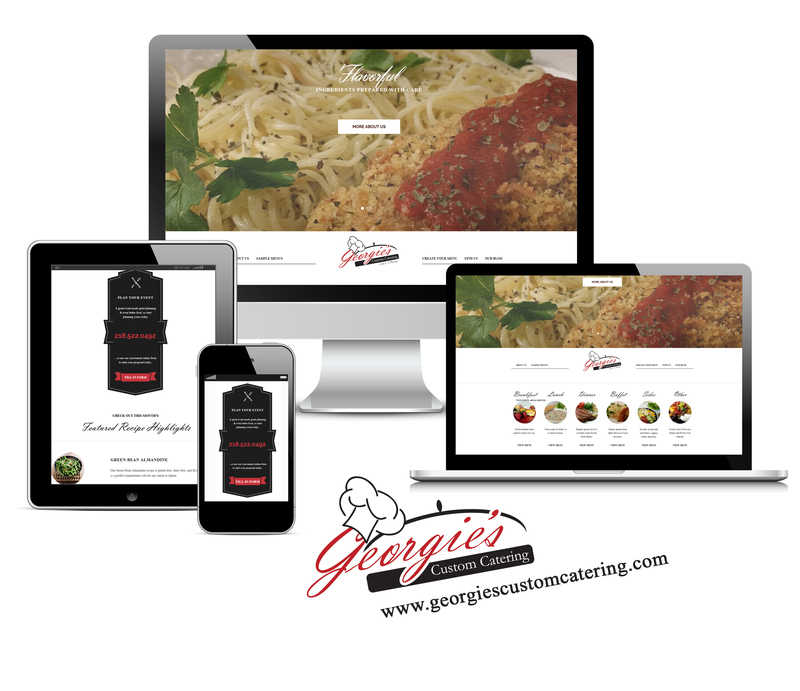 Georgie’s Custom Catering was reborn in 2011 online and in print with a new mobile-friendly website design, business cards, posters, signage, brochures, blog content, email design, and social media optimization and content strategies. The site was designed with colorful imagery, fresh relative content, featured recipes, example menus and pricing and updated company information with links to additional online resources owned by Georgie’s Custom Catering. We leveraged a flexible theme designed for the food industry which allowed us to help keep budgets on track for the ownership while empowering the team to expand optimization on a stable and powerful framework on WordPress. The site design was customized within the timeframe discussed and under budget and allowed us to continuing aiding the client in their ongoing content development strategies and brand management needs up through the day the owner retired the business in 2018. Back2Basics offers Brand Management and Brand Integrity Solutions. Learn more about our Small Business Online Brand Registry Solutions here, or give us a call to schedule a free initial consult about your upcoming goals.